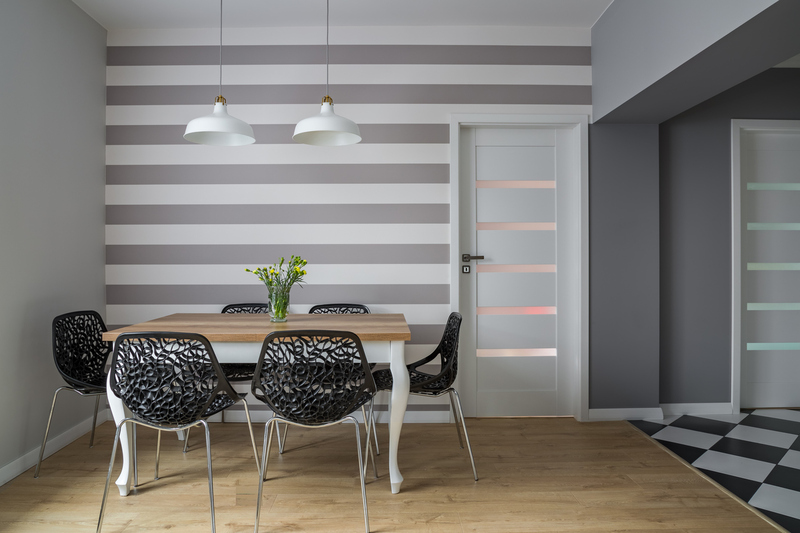 Whether your decorating style could be described as classic, cottage, eclectic, modern, or what have you, decorating with stripes fits all tastes. Many think of decorating with stripes as only appropriate for homes that could be called classic, or preppy, but that’s much too limiting for all the possibilities with this pattern. Decorating with stripes is more than just classic navy and white nautical stripes; although, there is nothing wrong with that if that fits with your style. Stripes are a bold pattern that lends itself nicely to a variety of treatments. Stripes are a perfect pattern for making a statement and work nicely mixed with other patterns like floral, chevron, dots, and more. Stripes can be a great way to add color (like rainbow stripes), or use a monochromatic palette (like black and white) for a more neutral approach. One easy way to add stripes to a room is with furniture. Fabric-covered chairs or sofas can turn a room from drab to fab. You can even redo an older chair or sofa in striped fabric yourself for a less expensive and more eco-friendly approach. Speaking of DIY, you can add stripes to a much-loved coffee or side table with painters’ tape and paint. Here is a tutorial, if you need a little inspiration to get you started. 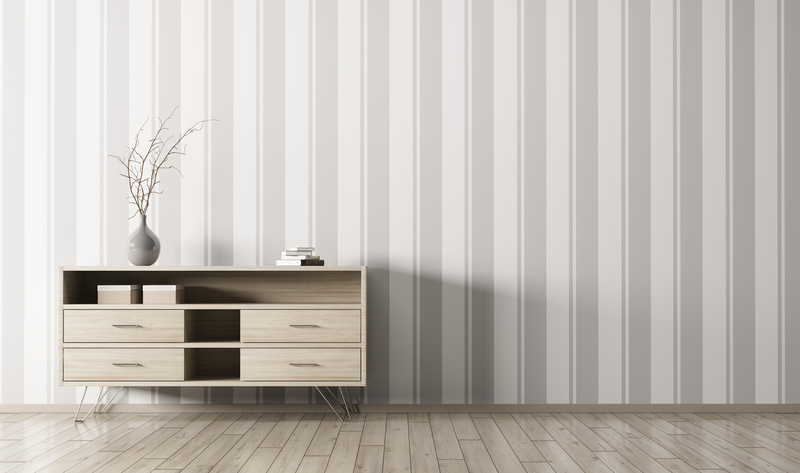 For a more permanent treatment, adding stripes with paint or wallpaper is another way to go. One thing to watch out for is the scale of your stripes to your room. The general rule of thumb is the larger your room, the wider your stripes should be. The other tip to consider is making sure that the stripes don’t take over the room. To that end, try adding stripes to one wall for an accent. If you need a little know-how, the DIY Network is a good place to look for tutorials on how to paint stripes. If you don’t own your own space, chances are you aren’t going to be redecorating with paint or wallpaper. Don’t get discouraged, though. 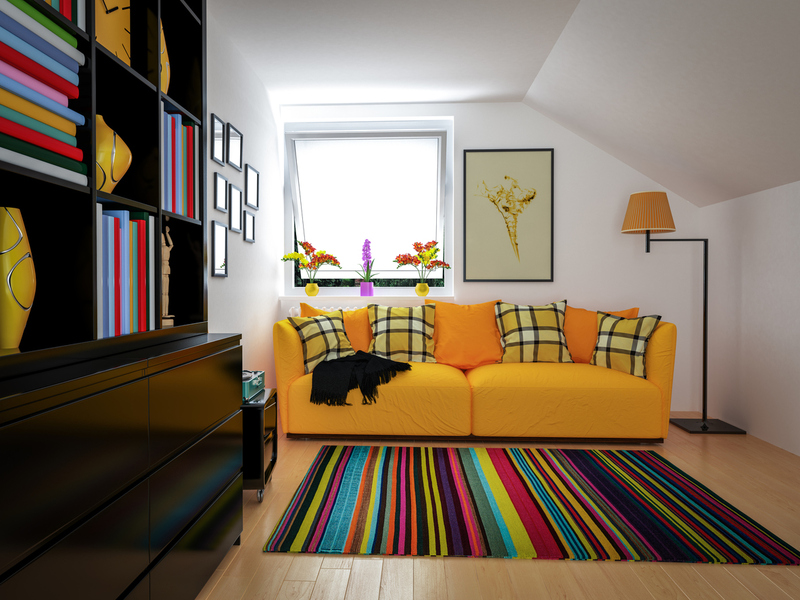 It is super easy to add your favorite pattern just by switching up your rug or with new curtains or blinds. You can get quite a bit of drama from a boldly-striped rug or curtains. And if you want to try a bit of DIY, take a look at this tutorial for adding pattern to plain curtains with sharpie markers! Don’t worry if your budget is on the smaller size. Decorating with stripes can be as simple as adding those smaller touches that make a room a home. Accessories like throw pillows, afghans and throws, knickknacks and vases, wall art, lampshades, floor pillows and poufs, and more are all a great way to add whatever the latest color or pattern that you are crazy about. 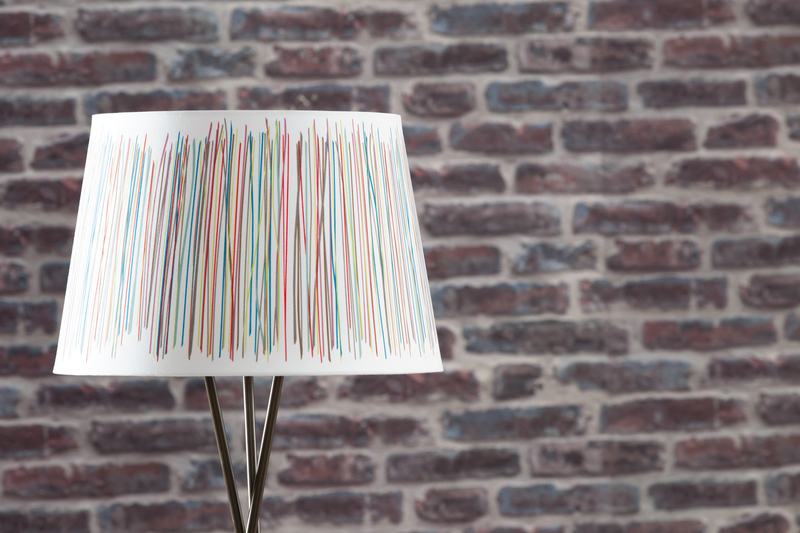 Check out this tutorial for adding stripes to a plain lampshade.